Figure 13-17.--Steel plate and sheet metal gauges and thicknesses. the same manner as those for plates; for instance, bar 6"
and a l-inch steel plate is called 40-pound plate. side of the square or the diameter of the round. different thicknesses, is listed in figure 13-16.
such as l/8, l/4, and l/2 inches. specifications for different metals used in the Navy. at the continuous metal marking system. width and thickness in inches, such as plate 24" X 1/2". number to indicate the composition of the steel. of 6 inches or less and is thicker than 3/16 of an inch. significance as explained in the following paragraphs. 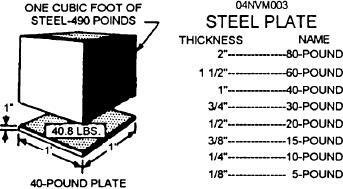 Figure 13-16.--Weight and thickness of steel plate.